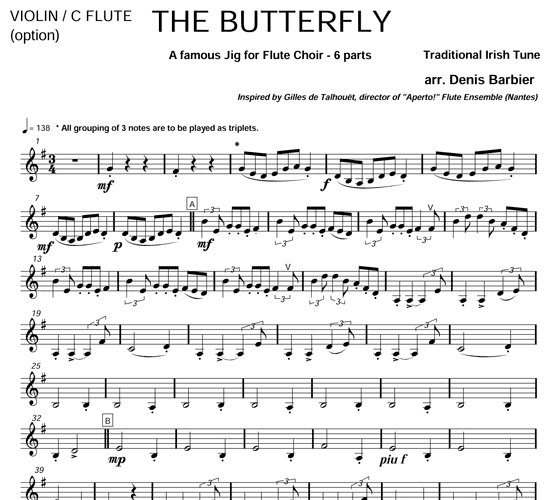 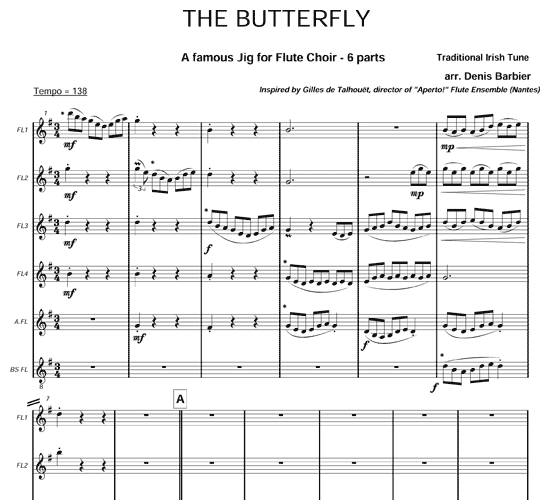 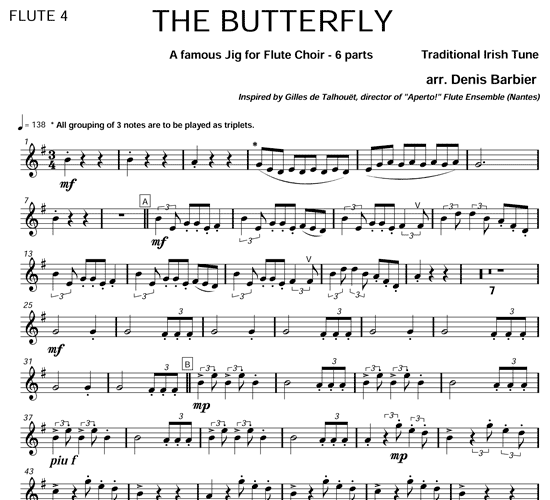 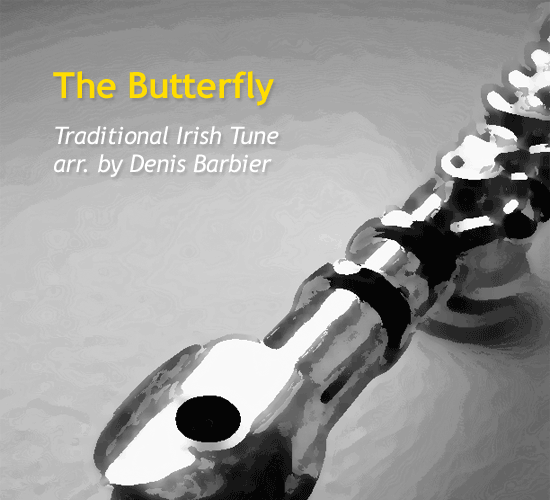 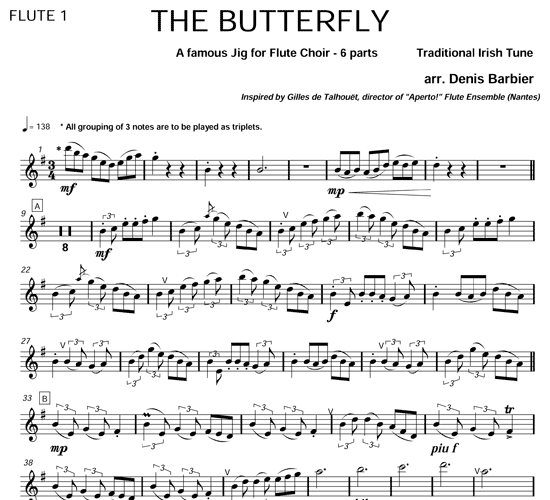 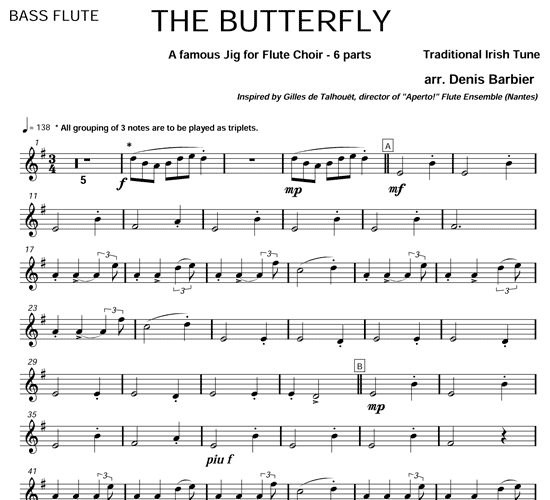 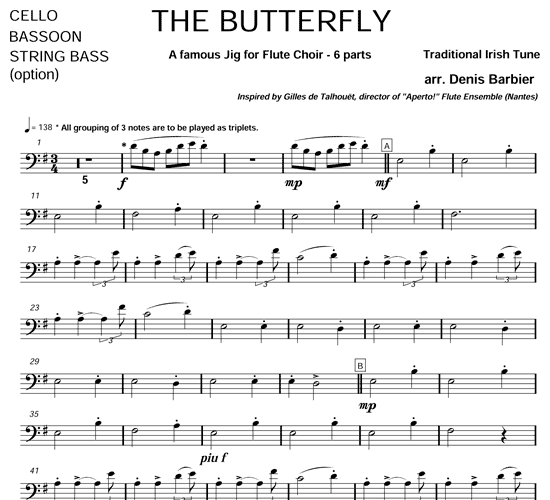 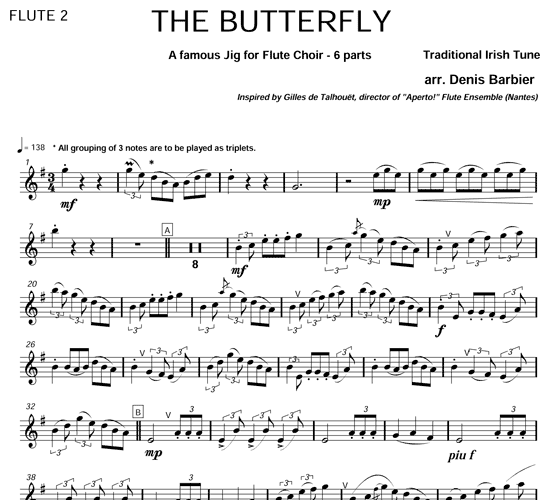 The Butterfly is a well-known traditional Irish tune, immortalized by many discographic versions, especially that of “The Bothy Band” in a 1975 live recording. 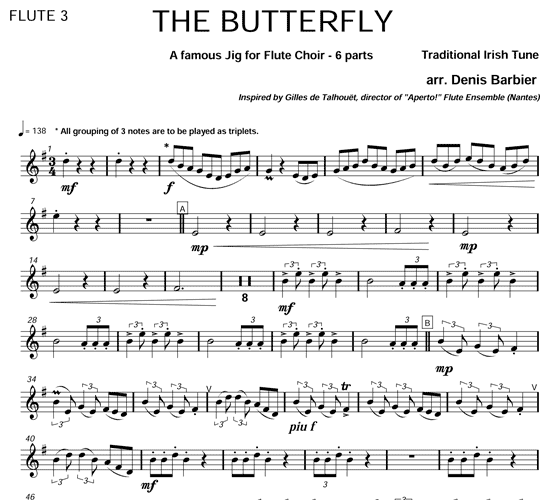 It can be played in a very lively tempo (jig), or in a more moderate tempo with a slightly nostalgic feeling (slip jig). 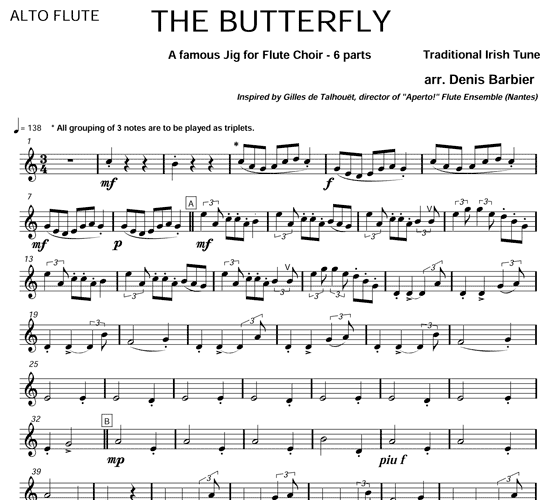 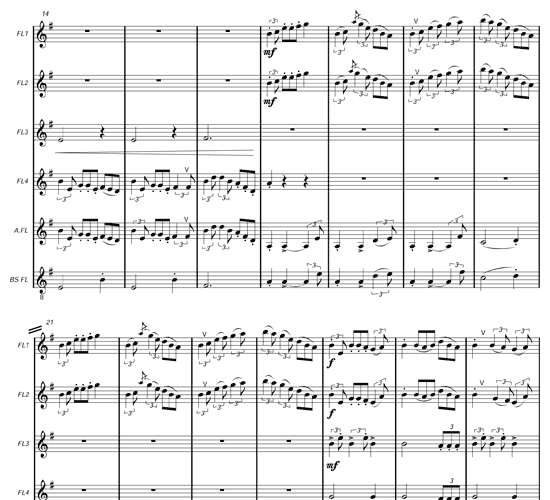 This arrangement provides a playful melodic role for each flute part, similar to a humorous question and answer game.